The Chislehurst Medical Practice provides bookable routine patient appointments with the Doctors and Nurses. These routine appointments are for 10 minutes. Sometimes patients need longer and sometimes patients want 2-3 things managed in that visit. Where possible the Doctors and Nurses try and do this but sometimes this may not be possible and the Doctor or Nurse may ask you to re-book. We would ask you to respect this. If you know that you will need longer than 10 minutes then please consider booking a longer appointment. Telephoning the surgery during opening hours. If you want a routine appointment please phone after 10.30 when the phone lines are less busy. If you feel that your problem cannot wait until the appointment offered to you please tell the receptionist. She will then try and see if you can be fitted in earlier. If the problem is perceived to be so urgent that you need to be seen the same day please ring as soon after the practice opens (see opening hours for daily information) as possible; either you will be fitted in to a routine surgery, offered an appointment at another local site (see below) or invited to attend the Emergency Surgery which is only available for medical emergencies that cannot wait until the following day, when all other available appointments for the day have been filled. where you can be seen by a Bromley based GP between the hours of 16.00 and 19.40. In addition there are pre bookable appointments at these sites on a Sunday morning released 4 weeks in advance and also Saturday morning appointments released the preceding Monday morning. Please note we DO NOT deal with dental problems. Please contact your dental surgery. Each year at least 1000 patients do not keep their booked appointments. This equates to one whole 3-hour surgery each week or 2 days of a doctors time per month or almost 5 weeks of a doctors time a year. Time that could otherwise be used to improve services for you. Please be considerate, if you are unable to keep an appointment then please inform us so that we can use that appointment for someone else. This can be done 24 hours a day 7 days a week using the telephone messaging service on the main surgery number Option 2. If a patient requires a consultation with a doctor but is too ill to attend the surgery then we will arrange for him/her to be seen at home, however we would be grateful if a request for a Home Visit could be made before 10.30 a.m.
We would respectfully remind patients that at all times if they could make every effort to attend the Surgery in order to see the doctor. Home Visits should be strictly for the elderly and housebound and for people with a serious illness who are unable to attend for consultation at the Surgery. In general your Registered Doctor will perform the Home Visit unless he or she is away from the surgery. In some instances the doctor may feel it is appropriate to telephone you and offer advice rather than visit. 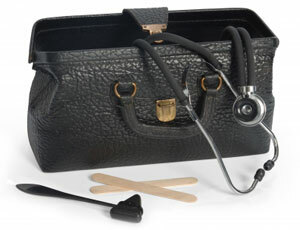 Equally the doctor may arrange for another member of the Primary care team such as the District Nurse to visit rather than the doctor. Our Practice is a recognised and accredited training practice and has been so since training in General Practice was born. In fact the practice has had a tradition of training other doctors even before training was formalised and stems back 30 years. In order to be registered as a training practice a high standard of practice has to be reached. 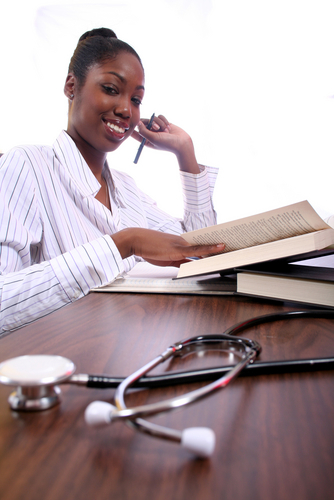 The training is of a postgraduate nature and involves training fully qualified doctors for General Practice. Theses doctors are referred to as GP registrars and work in conjunction with one of the partners. A GP registrar will usually spend 12 months with us although it may be less, depending on their previous experience. Students from Kings College Hospitals have, as part of their undergraduate curriculum attachments at the Practice to learn about the special skills required in General Practice. When you attend the surgery for an appointment we may ask you to see a student. If this is the case then be assured that the doctor with whom you made the appointment will also see you. You are under no obligation to see these students and if you prefer not to then please advice the receptionist. The practice is also a Nurse training centre for those on the general nursing course as well as those fully trained nurses who are training to become Practice Nurses. You may be asked to allow a nurse to sit in during the consultation. You are under no obligation to see these students and if you prefer not to then please advice the receptionist. We occasionally have 16-18 year olds from a variety of schools who want to spend one or two weeks with us during the summer for work experience. They usually spend time in the management and administration areas of the practice. We aim to offer appointments 4-8 weeks in advance; if your need is not urgent we recommend that you book ahead so that you are more likely to get the clinician and time of choice. If you ask to see a particular clinician the reception staff will offer you the next available free slot unless you specify a date. If your need is urgent please make this clear and we will offer you the soonest appointment with a clinician but in this instance we cannot guarantee which clinician that will be. Routine appointments are between 8.00am and 6.00pm but we also offer early morning appointments on Weds & Thurs and late evenings on Tues, Weds & Thurs to try and fit around working hours. If you see the GP and they ask you to come back for a follow up after a certain period of days/weeks please visit the reception desk ON YOUR WAY OUT to book this rather than call on the day you are supposed to come when you may be disappointed by availability. If you see a clinician for a particular ailment please try to see the same GP for any follow up to give you continuity of care. This is good clinical practice and we believe it is in the best interests of our patients and their GP. (See above re follow up appointments). Could your problem be dealt with by a telephone consultation? Some of the clinicians offer these to save you time and effort in unnecessarily attending the surgery. Reception can advise you on availability.